1. Head restraint height adjustment. 3. 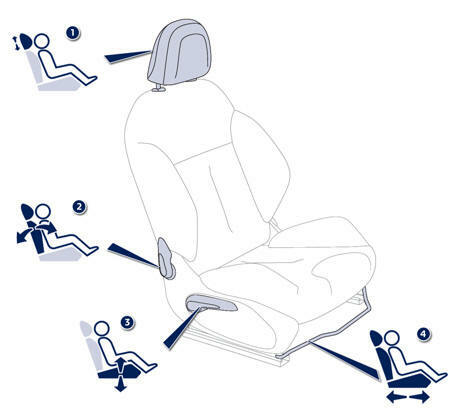 Seat cushion height adjustment.